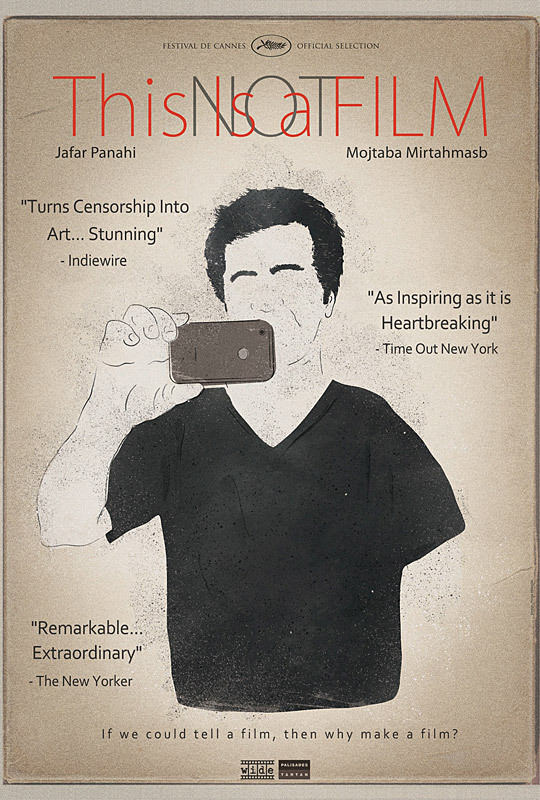 Iranian filmmaker Jafar Panahi (THE WHITE BALLOON) was recently sentenced to six years in prison. In addition, he has been forbidden from engaging in filmmaking, writing, giving interviews, or leaving the country for 20 years, all for the crime of “assembly and colluding with the intention to commit crimes against the country’s national security and propaganda against the Islamic Republic.” Whatever that means, it no doubt has at least something to do Panahi's films, most of which include subtle criticisms against the status quo in his home country. As the documentary THIS IS NOT A FILM begins, Panahi is waiting for news on his appeal. Despite the ban on filmmaking, he shoots much of the footage here himself, with friend and fellow filmmaker Mojtaba Mirtahmasb shooting the rest. 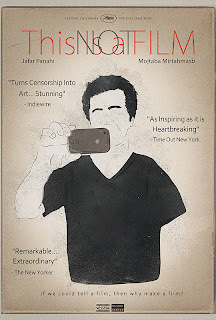 The title shows both Panahi's humor in the face of adversity, but also refers to his efforts at communicating the movie he would have made if he had not run afoul of the authorities.Panahi does this by reading the screenplay and acting out the parts, but soon begins to feel his efforts aredoomed to failure. As Panahi says at one point, “If we could tell a film, why make a film?” It's as fine a way as any to illustrate that a movie is far more than just its screenplay. Ultimately, THIS IS NOT A FILM is a testament to the fact that artists have no choice but to create, no matter what the circumstances or possible consequences. That, and the fact that a great artist can produce something profound from the least likely of materials, including even, as is the case here, video shot with a cell phone. 4 out of 4 stars.